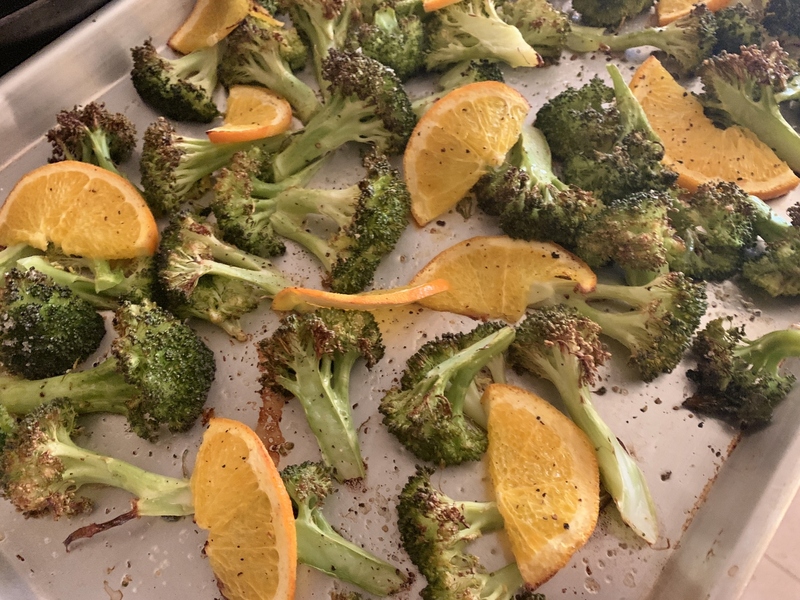 Roasted Broccoli with Oranges - Recipe! - Live. Love. Laugh. Food. 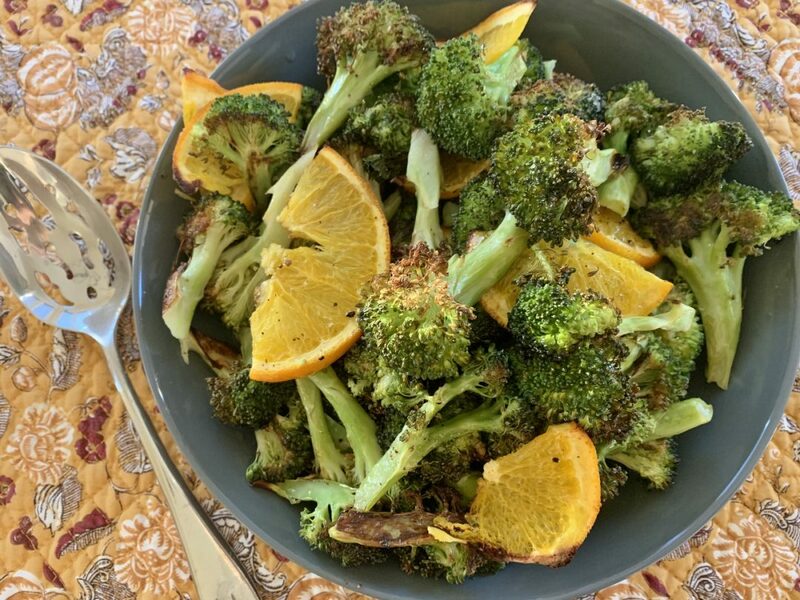 Roasted Broccoli with Oranges – Recipe! Sometimes the simplest of side dishes are the best – the ones that don’t require a lot of looking after or fuss. Roasting is a good technique because it’s a one-stop shop in cooking. Lying vegetables flat before cooking and timing them in the oven is about all the work that’s required – it’s hard to go wrong. Broccoli makes a great side dish on any table and with a little fresh fruit, it’s even better. 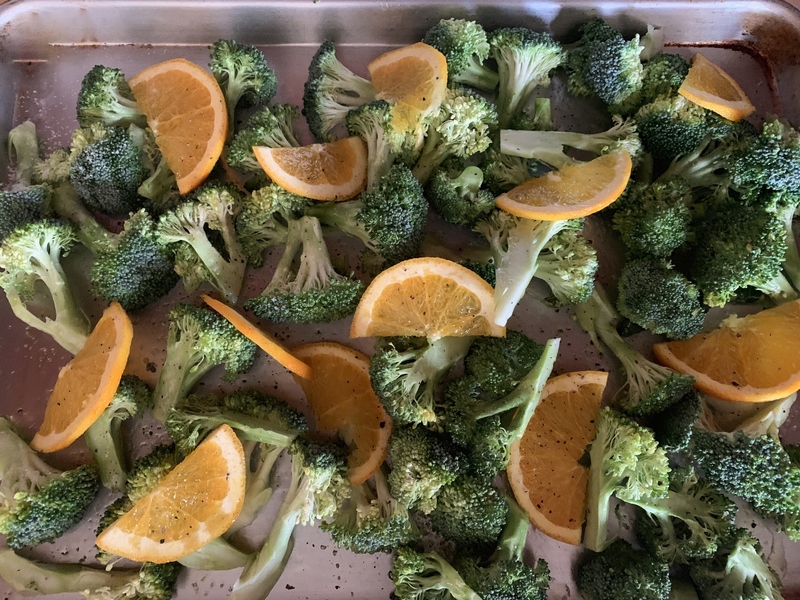 After roasting, broccoli turns a darker hue and its edges blackish. The caramelization that goes on in the roasting process is almost magical and fruit, like oranges, follow suit – the rind almost crimson at times and the sweetness deepens. 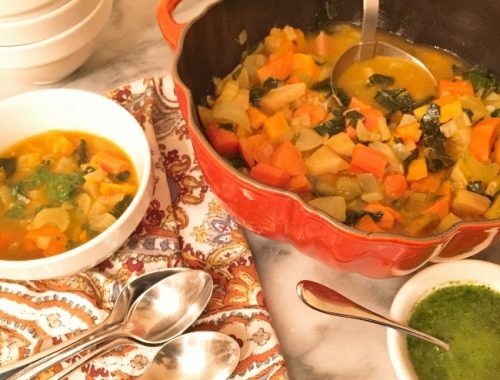 The combination of slightly bitter and sweet compliments any palate and if you are looking for a lighter vegetable side to cut the heaviness from the table – this is definitely it. This dish is fresh and easy to prepare and it serves up nicely at holidays, or any day. Preheat oven to 425. Drizzle sheet pan with olive oil and sprinkle with salt and pepper. Toss broccoli with mixture and lay flat. 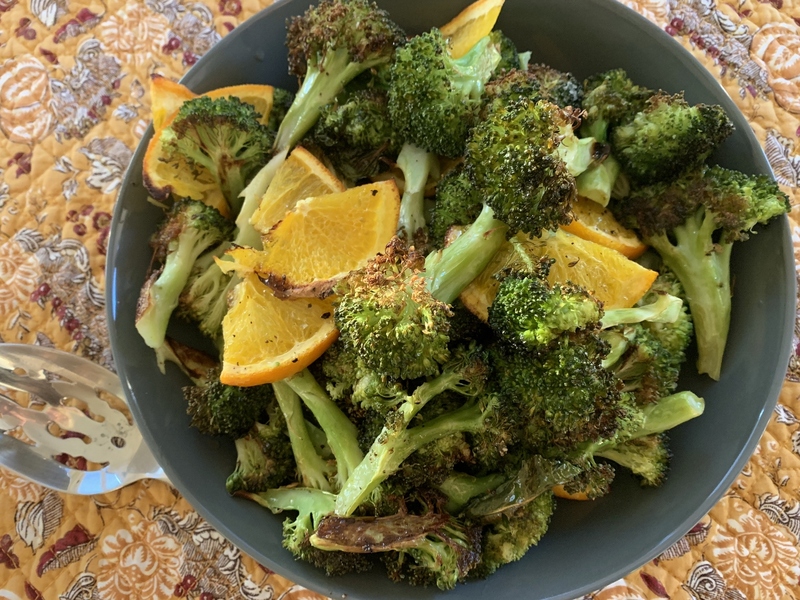 Slice half an orange thinly into half-moon shape pieces and scatter among broccoli florets. Drizzle olive oil over top of vegetables and fruits and roast for 25-30 minutes, or until fork tender and edges are beginning to darken. Remove from oven and squeeze other half of orange over top. Spoon into bowl and serve. Enjoy! 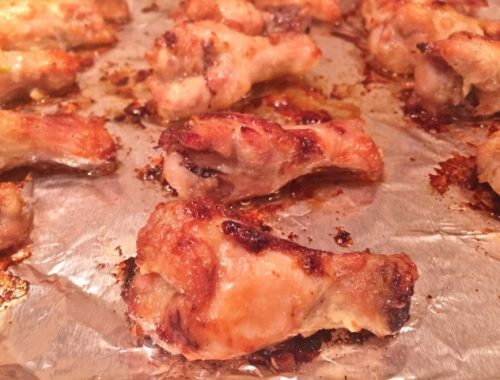 Guiltless Hot Wings – Recipe! 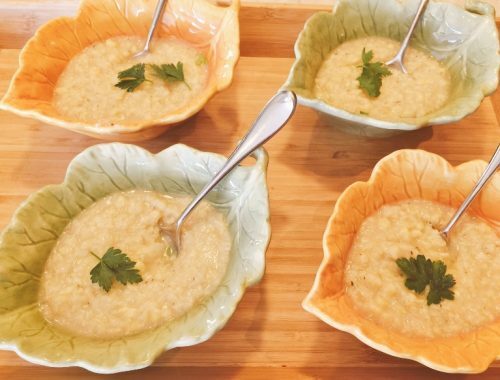 Instant Pot Corn & Cauliflower Chowder – Recipe!